Last year, Dangal has won great popularity in India by excellent actors and touching stories. People are also impressed by the song Haanikaarak Bapu. Nowadays, more and more films have released in India and Indian movie songs are more and more welcomed. Is there any websites to make new Hindi songs download 2018? Do you know any latest Hindi MP3? Today’s guide will recommend some Hindi songs and teach you how to enable new Bollywood MP3 download. There are many wonderful Hindi movies songs 2018. On my list, I would like to recommend these 10 top Hindi movies songs to you. Now you already know 10 popular Hindi songs 2018, do you know where you can enable latest Bollywood movies songs free download? 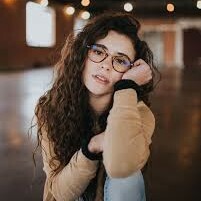 Here I would like to introduce 4 websites to make new Hindi songs download 2018. Hindi SongsPK is abundant in a vast collection of different types of Bollywood songs. You can listen to Bollywood music online or download them to your computer or device to enjoy them offline. 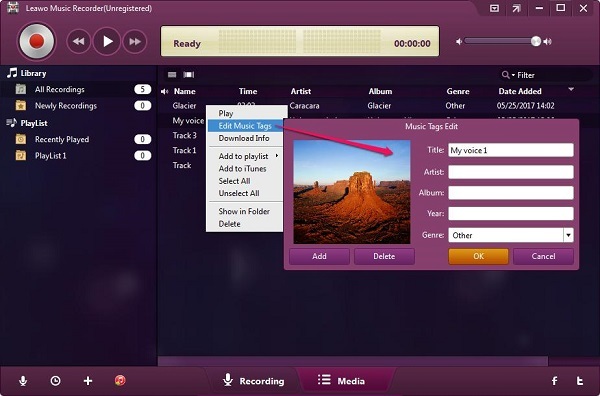 SongsPK allows you to download different quality and different format songs. It is one of the best websites to make new Bollywood MP3 download. Amazing? Not really. As we all know, YouTube is one of the most powerful media websites allowing you to source any kinds of movies, videos and music. On YouTube, you can also enable latest Bollywood movies songs free download. Simply search the Hindi song you want to download and download it. That’s it. No wonder YouTube is a good website to actualize latest Hindi songs download 2018. Indiamp3 is one of best alternatives to get new Bollywood MP3 download. It collects all types of music. If you are confused at selecting a good song to download, you can get some inspiration from its top 10 songs of the week. Anyway, Indianmp3 offers you with a vast library to make latest Hindi songs download 2018. Ganna can be said one of the most popular latest Hindi songs download 2018 websites. It offers multi-language songs for you to download. You can also search the song on the website and try to download it. Ganna enjoys a super clear and modern interface that delights users’ eyes. If you are looking for a website to make latest Bollywood movies songs free download, Ganna is the tool you need. We all know some Hindi Songs may be charged. In this case, how to make Hindi songs free download? You can try Leawo Music Recorder. The tool supports to download music from computer disk, microphone and online websites like Gaana, YouTube, SongPK, Twitter and the like. You can download them in the format of MP3 or WAV. 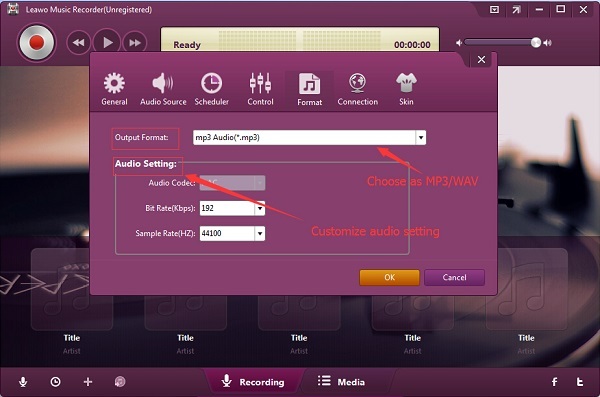 Besides, you can adjust bit rate, sample rate and other parameters to enhance sound quality. 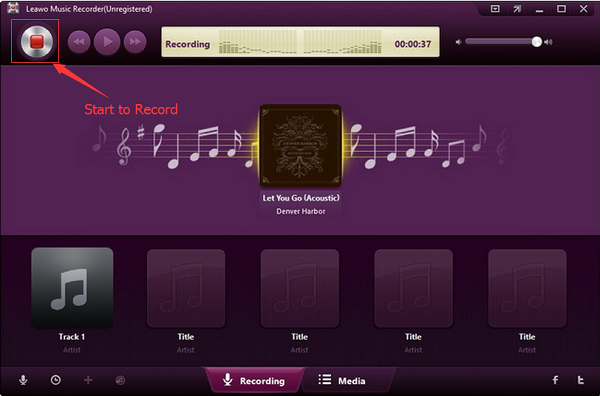 Leawo Music Recorder is also superior in enabling you to edit music tags like album, year and other information. 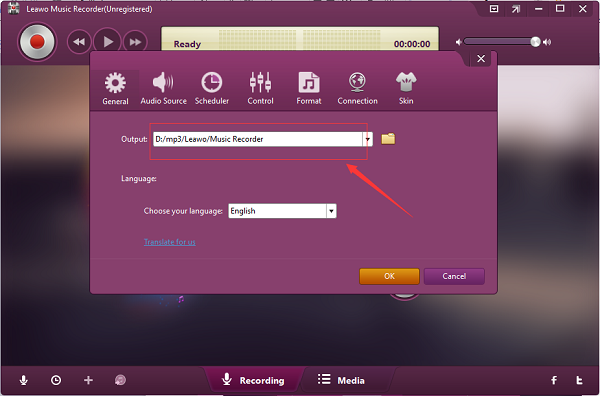 Now let’s learn how to download Hindi songs via Leawo Music Recorder. 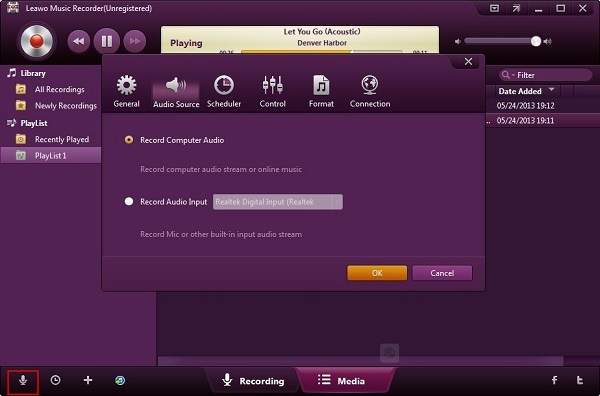 Open Leawo Music Recorder and click on the little microphone icon to enter “Settings” interface. Choose “Record Computer Audio” to make Hindi songs download. Go to “Format” at the top of the interface and adjust bit rate or sample rate to enhance sound quality. Plus, choose MP3 or WAV as the output format. Now jump to “General” page and click on the folder icon to choose a destination folder on your computer. Click on the red recording button at the top left corner and then play the prepared songs online you want to download. After it finishes playing, click on the red recording button again to stop. By now, you have completed downloading music from Hindi music websites. You should know the file you download is not paid in Apple store, so you need iTransfer to help you to transfer music from computer to iPhone. Leawo Music Recorder is able to download music tags automatically. However, if you are not satisfied at music tags, you can edit them on your own. Go to “Media” page at the bottom and right click the recording song to choose “Edit Music Tags” to edit tags like album, name, year and so forth.